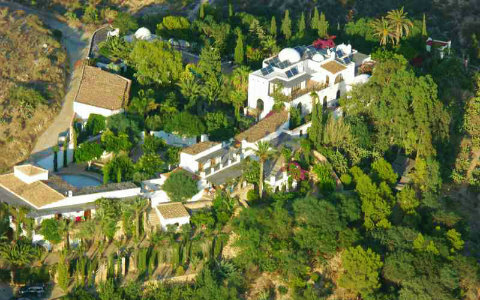 This luxury villa rental Spain is a peaceful and private retreat that nestles between Turre and Mojacar with breathtaking views to Sierra Cabrera. 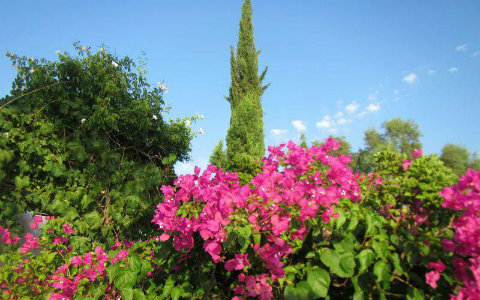 Its spiritual gardens and wonderful architecture alone are a treat for body and soul. Some 13 years ago, your host Penelope started to create this wonderful, inspiring and creative eco retreat project. 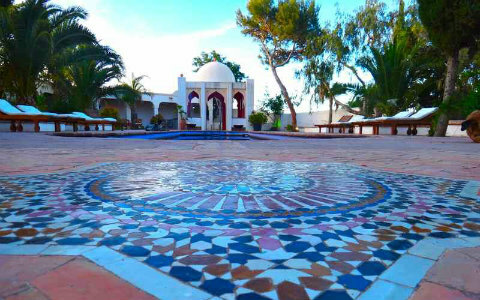 The setting is a paradise of its own, perfect for large friend gatherings, all kind of events and a luxury holiday in a spiritual garden, lovingly created by its owner. 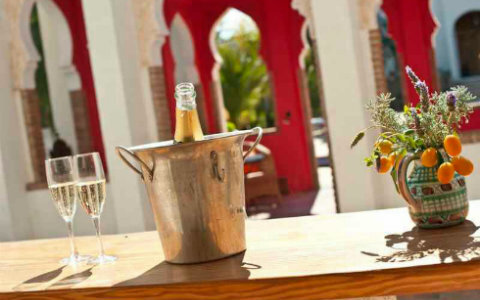 Upon your arrival, you will receive a welcome pack including cava, fruits and flowers. 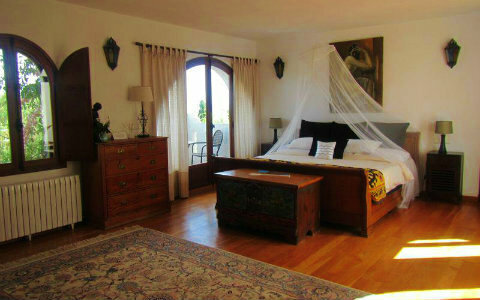 The main house includes a luxury suite, 2 double rooms and two twin rooms. In the family Pool House there is a double and a single room, plus there are also three Cave Rooms (one double, one twin and one triple room). 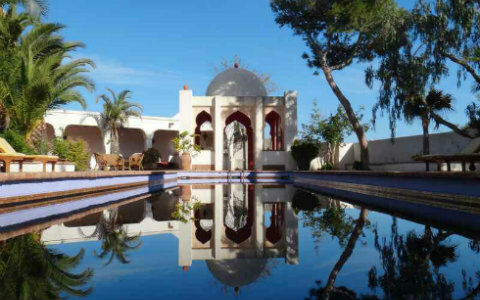 Guest can also choose between a Morrocan luxury suite and double room and three solar powered Yurts. An ideal place to hire the entire finca for a family gathering, corporate event or a wedding, you name it! 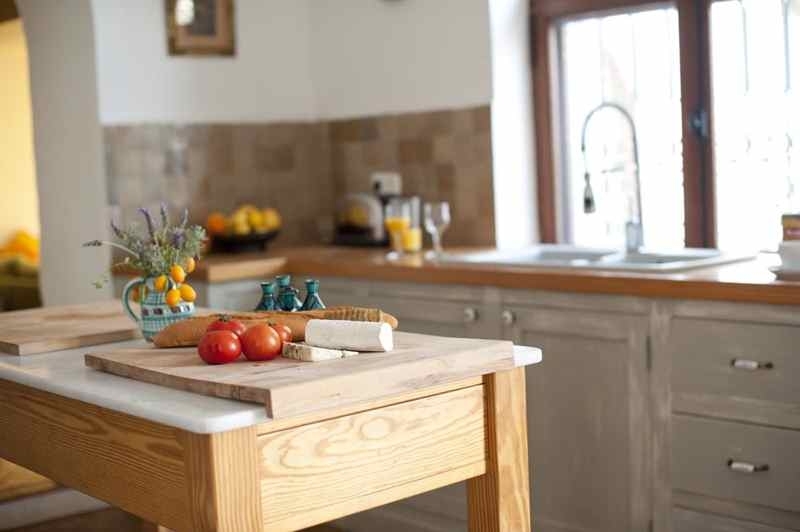 For a self-catering holiday, there are two fully equipped kitchens. 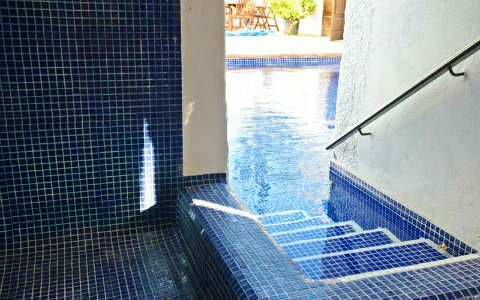 However there is also a Chef available to pamper you and prepare delicious dishes and BBQs next to the pool as well as fantastic brunches and cakes. The retreat is surrounded by trees and plants from all over the world, including olive trees (one of which is over 1000 years old), that produce 70 litres of own olive oil to be enjoyed by the guests! Strolling around the garden is like discovering the Garden Eden. 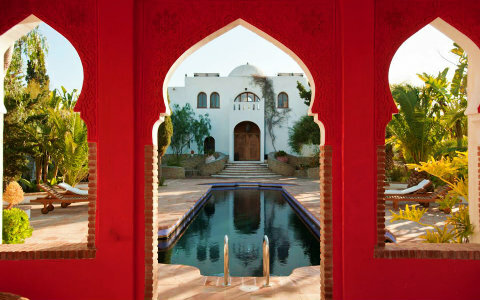 Guests may pick themselves fresh seasonal citrus and tropical fruits as well as grapes, avocados, figs, peaches and also different salads, organic vegetables and herbs. 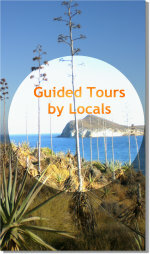 ...golf at the nearby courses: Desert Springs or Valle del Este, biking (there are mountain bikes available for guests). 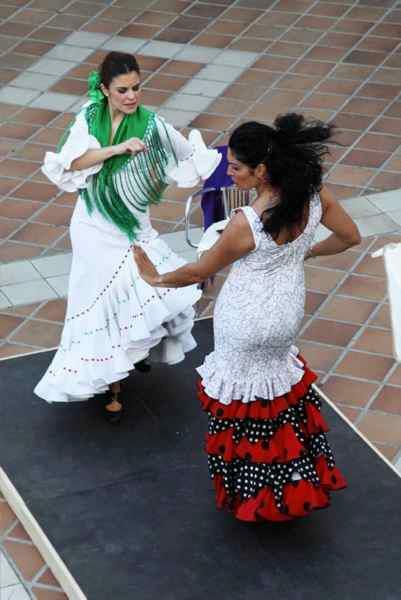 Optionally you may book a flamenco show evening in the finca's amphitheatre, salsa dance classes or horse riding and a day trip to Alhambra. The sky is the limit. There are many Yoga equipments and devices available for guests. You have the option to book a variety of yoga, healing and beauty therapists, specialized in remedial sports massages, aromatherapy, deep relaxation and ayurvedic massage, to visit the retreat, including a Chef who will cook organical meals.